Blue Mountain is the largest “mountain” in southern Ontario and is situated along the highest part of the Niagara Escarpment. Due to its sheer size and placement along Ontario’s snowbelt region, every winter thousands of people flock up to the Blue Mountains to alpine ski. But there are a few options in the area for cross-country skiing as well. Bon Echo Provincial Park is located in southeastern Ontario and is situated along several lakes, including Mazinaw Lake – the seventh deepest lake in the province. For years we’ve been saying we’d like to visit Bon Echo, in large part because it’s located close by K’s family cabin. So this year we finally made it happen. 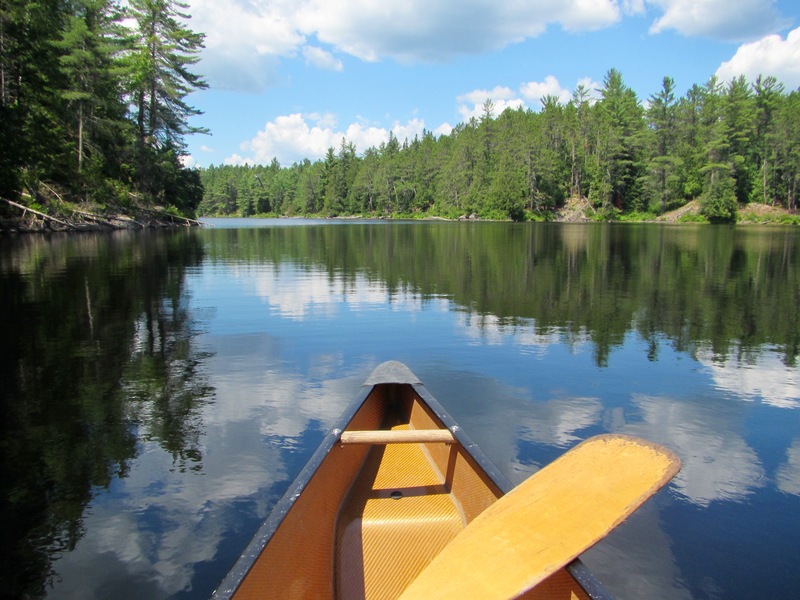 While there are just over 500 car camping sites to choose from in this provincial park, we booked one of the 25 coveted canoe-in campsites located in the backcountry on Joeperry Lake. The Bruce Trail is an 885km trail that follows the Niagara Escarpment from Niagara to Tobermory. The trail in divided into nine sections with each section managed by its own club. The trail itself is very well maintained and clearly marked by white blazes painted on trees or signposts. There are an additional 400km of side trails that are marked by blue blazes. Niagara is referred to the honeymoon capital of the world. It is perhaps best known for it’s waterfall that shares the same name as its city – Niagara Falls. Although technically Niagara Falls refers to three waterfalls: Bridal Veil Falls, American Falls, and (the most famous of the three) Horseshoe Falls. Collectively they form one of the largest waterfall networks on the planet. But Niagara is also known for being one of the largest grape growing regions across Canada. The Niagara Peninsula is nestled between the Niagara Escarpment and Lake Ontario making for ideal conditions for wine making. The climate is moderated year round – the escarpment shelters the vineyards in the winter while the lake cools the vineyards in the summer. The Niagara wine region also lies at the same latitude as other famous wine regions such as Bordeaux France. Together these conditions create some delicious delicious wine. As the capital of Canada, Ottawa hosts a number of large festivals and events throughout the year. The most famous of which is its annual Winterlude Festival. Over the course of three weeks (usually in February) the city is enchanted with all things snow and ice to celebrate winter. But its main draw is the Rideau Canal Skateway. At 7.8 kilometres long, when completely frozen, it forms the largest skating rink the world. Point Pelee National Park is the southernmost point of the mainland in Canada. Despite being the second smallest national park (after Georgian Bay Islands, also located in Ontario), it boasts of being the most ecologically diverse national parks in the country. Point Pelee mainly consists of beaches, marshes, and woodlands. It is home to over 390 species of birds and is part of a bird and butterfly migration corridor over Lake Erie.